How are you Dealing with Your Financial Disappointment? We have all dealt with minor to catastrophic disappointments with our finances. When your journey seems to be smooth sailing, that Iceberg seems to always appear and cause you to get off course. You developed a plan for your money and have navigated through several WayPoints to find that your plan is being derailed by a financial disappointment. Disappointments happen for a variety of reasons. A job loss may have wiped out your emergency fund or a health issue has created a medical bill that has sunk your life savings. Understand, however, that most people are not immune to financial disappointment. It might be a major setback, but you CAN recover. With any financial hardship, a grieving period is normal and expected. Grieving and feeling down over a loss contributes to the healing process. An emotional release is normal, so do whatever it takes to release that burden. Bottling up your feelings may slow down the recovery process. 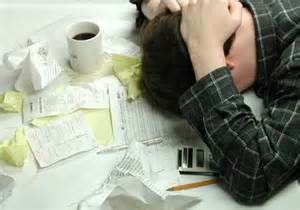 However your financial downfall occurred, do not isolate yourself from family, friends and co-workers. It is healthy to talk about your emotions and most people in your life will provide the support that you need. Listen to their advice, vent your frustration and allow them to encourage you. Your situation may not be as bad as you think, and it may take a casual observer to help you see it. Since your situation cannot be changed, it’s time to accept the outcome and prepare to move forward and not look back. Beating yourself up will prevent you from pulling up your bootstraps and keep you stuck where you’re at. Acceptance will renew your motivation and get you started back again on a healthy financial journey. You may not agree with the setback or totally understand it, but now that you accept it, you can make strides to make your situation right. In order to move forward, you need to understand the circumstances that led to your financial letdown. Knowing what went wrong or recognizing what contributed to the adverse situation, can help you avoid this same downfall in the future. Start to strategize your next move. Think of possible ways to recover from this disaster. If you’re struggling with high credit card debt and you’re having difficulty making minimum payments, try calling your creditors and asking for a lower interest rate. Ask your employer for extra hours or seek part-time work elsewhere to generate disposable income. If you can earn an extra $100 a week, that’s $400 a month or approximately $4,800 a year that can go toward your debt. Don’t let your financial disappointments sink your ship, learn from your situation, set a plan in motion to get back on track and find a solution that will lighten the financial risk moving forward. I know this feeling and recognizing the onset is key.